Who lived in the Forbidden City? When was the World Wide Web invented and who were the Aztecs? 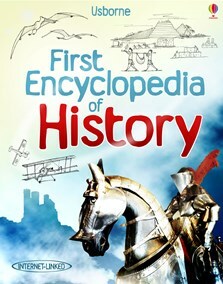 This bright and lively reference book covers all the major subjects of world history. Attractively illustrated with photographs, maps, diagrams and artwork illustrations. Includes links to recommended websites to find out more and free downloadable pictures via the Usborne Quicklinks Website.